Race downstairs to the waterfront and spend a few minutes or a few hours enjoying all that the beachfront offers. It is a larger-than-life playground for kids and adults. Pull together a beach volleyball game and build sand castles. Wade in the shallow water and shuffle your feet on the sandbar as you search for sand dollars. 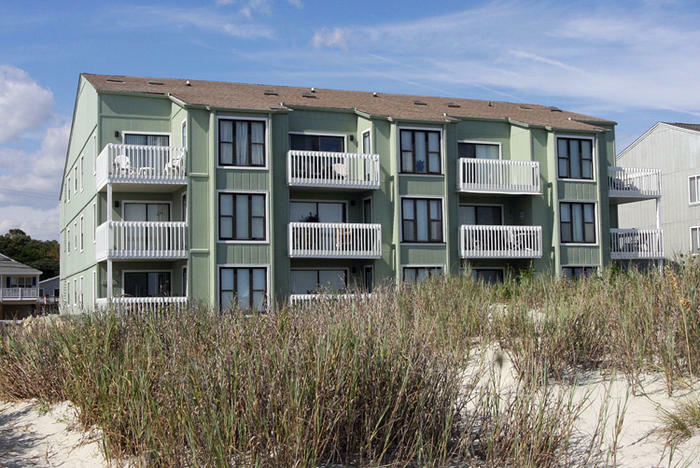 Life on the beachfront is grand and life in North Myrtle Beach for a family beach vacation is even better. Coastal Shores is a North Myrtle Beach resort that is closely located to a wide variety of amusements and attractions. The Ocean Drive section of North Myrtle Beach, South Carolina is already famous for being the birthplace of the shag dance. Beach clubs around town feature live beach music and shag dance lessons for all those who want to learn this smooth dance. When you vacation at Coastal Shores near 8th Avenue South you will be within walking distance of some of these beach clubs that are scattered around Main Street. Fishing opportunities abound in North Myrtle Beach, South Carolina and one of the most popular fishing sites is the Cherry Grove Fishing Pier. Record catches have been made from this famous pier so regardless whether you have fished before or not, this pier is worth a visit. You may also rent a boat while you are on a North Myrtle Beach vacation and fish the inlets, salt marsh and river. Take a head boat offshore where you are almost guaranteed to reel in some fish or splurge on a deep-sea fishing charter and go to the Gulf Stream where the big fish are teeming. In addition to fishing, the local water sports in North Myrtle Beach, SC include parasailing, banana boat rides and Sea Doo rentals. You can find boat rides down the Intracoastal Waterway and dolphin watch cruises where you will undoubtedly get wet. Everyone wants to go shopping during their North Myrtle Beach vacation and lucky for guests of Coastal Shores, there are some terrific shopping sites just minutes away from this North Myrtle Beach resort. The Tanger Outlet Center has two locations in the Myrtle Beach area and one of them is right at Highway 22, near Restaurant Row and Ocean Drive. Bass Pro Shops is located near that same intersection and is a dream shopping destination for outdoor enthusiasts. Check out the shops and restaurants at Barefoot Landing, which is located on the Intracoastal Waterway and is also home to the House of Blues restaurant and concert venue and the Alabama Theatre. And Broadway at the Beach is full of shopping and dining, in addition to Ripley’s Aquarium and WonderWorks which features a zip line. Myrtle Beach golf courses are plentiful in this part of South Carolina. In fact, there are more than 100 golf courses in the area and they are found at every turn and around every corner. Do you want to play 18 holes or a par-3 course or just hit balls at the driving range? It is so easy to do in North Myrtle Beach, SC and when you vacation at Coastal Shores numerous golf courses are very accessible. A roller coaster, water slides, laser tag, miniature golf courses and ice cream shops are all over North Myrtle Beach, South Carolina. Make them part of your North Myrtle Beach vacation and be sure to keep the camera on hand. Photographic moments are everywhere and you will not want to forget anything about this beach vacation at Coastal Shores. Bring the family to the beach now.